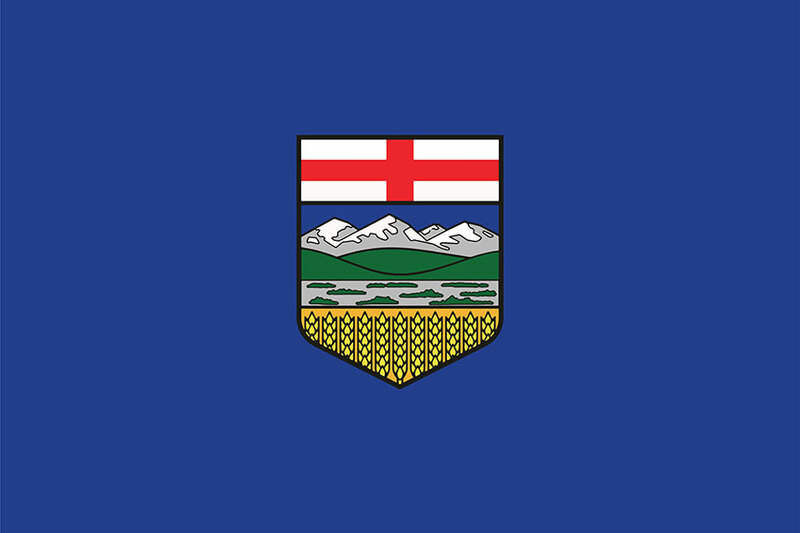 As with all provinces and territories in Canada, car insurance is mandatory in Alberta. Even if a vehicle is parked on a public street and not driven, the car must have minimum coverage. Also like many other jurisdictions, insurance must be in place before registration and licensing proceed. Insurance for a car is issued for that vehicle and cannot transfer to another by the car owner. The Vehicle Identification Number on the insurance slip must match the insured vehicle. The basic Alberta auto policy has three sections. Public Liability and Property Damage — Section A includes a minimum of $200,000 in liability insurance, intended to cover damage and loss occurring to others and their property arising from the fault of the insured driver. Since insurance settlements in serious accidents may exceed $200,000 many drivers opt for greater coverage. The amount of $1 million is most common in Alberta as well as across Canada. Accident Benefits — injuries to the driver and passengers in excess of those covered by the provincial health care program come from the accident benefits portion, also known as Section B coverage. This section may also cover income replacement in certain situations. Section C Coverage — this section is not required by the Alberta government for legal vehicle operation, though lending agencies may insist on some coverage if the vehicle’s purchase is financed. Collision and comprehensive coverage are the main components of Section C. Further customizations, called endorsements, also list under this section. The Alberta Insurance Act serves as the regulatory basis for auto insurance in the province. The most recent updates took effect July 1, 2014. The Insurance Act covers all aspects of insurance business, including major sections for the auto insurance industry such as benefit, premium, and rate board fee regulations. Changes to the Act in 2014 focused on enhanced consumer protection. Legislative changes in Bill 39 established a basis for the Automobile Insurance Rate Board’s responsibility for auto insurance premium oversight for all three sections of the province’s policy. Other provisions of the Act adjusted to reflect industry best practices such as monitoring other provinces and their auto insurance systems for purposes of monitoring overall insurance market behaviour. Insurance premiums were previously reviewed annually on an industry-wide basis. This changed in 2014 to a company-by-company basis, activated by insurance company filings with the AIRB. This is more consistent with other provinces, such as Ontario, where similar responsibility falls on the Financial Services Commission of Ontario. The AIRB gained approval status over both basic and additional coverages. The Board’s annual responsibilities now include reviews of premiums and trends, while seeking industry and public feedback. Alberta’s minimum coverage, like that of many other provinces, doesn’t provide much in the way of coverage. For example, drivers carrying only minimum coverage may be responsible for all transportation and repair costs after an accident. The minimum liability requirement of $200,000 is marginal at best. Costs from liability claims may exceed $300,000 for moderately severe accidents. Additional liability coverage is recommended by most agents and brokers. Over 98 percent of the vehicles insured in Alberta have $1 million in liability coverage in place. Alberta’s car insurance is the second-most affordable in Canada, behind Quebec. While the actual dollar cost of policies places about the middle of the pack, Alberta’s affordability stems from the strength of the provincial economy. Car insurance accounts for less than 3 percent of the average Albertan’s disposable income. Alberta is the only province west of Ontario than has not converted to a public insurance system. Auto insurance rates are generally lower than Saskatchewan, Manitoba and British Columbia, the western provinces with provincially run auto insurance. The province uses a grid system to establish the maximum price an insurer can charge for basic auto insurance coverage, that is, Sections A and B. About 95 percent of the province’s drivers pay less than the maximum allowed by the grid system. Experience and clean driving lower a motorist’s grid score, resulting in lower auto insurance premiums. Minimum required insurance in Alberta covers two of three sections of the provincial standard car insurance policy. As with most provinces, the key focus is third party liability coverage — protecting other people from injury, damage and loss caused by an insured driver. While the standard coverage amount of $200,000 is the same as many other provinces, this level of coverage doesn’t protect a driver against claims that arise from accidents of even moderate severity. Most drivers in Alberta recognize this and 98.5 percent of them opt for liability coverage of $1 million, the most common coverage level across Canada. Without increased coverage, a motorist may be exposed to severe financial hardship. For example, a driver with minimum coverage causing an accident resulting in a $300,000 settlement carries the burden of paying the $100,000 in excess of their auto insurance coverage. The small upcharge to $1 million in liability coverage far outweighs the financial risk represented by basic coverage. Section B — accident benefits coverage — is also a mandatory requirement. This section pays up to $50,000 per person for medical expenses in excess of those covered by the provincial health plan. It also has some provisions for funeral expenses, death benefits and disability coverage. There are four main types of optional auto insurance available in Alberta, as described by the AIRB. Collision Insurance: this pays for damage to the insured’s vehicle resulting from impact with another car or an object. Usually subject to a deductible, the policyholder either pays toward repairs or the amount is deducted from the claims settlement. Comprehensive Insurance: this covers damage or loss from non-collision incidents, such as theft, fire or vandalism. As with collision, comprehensive coverage usually carries a deductible, administered the same way. Specified Perils: a limited form of comprehensive coverage, this insurance covers fewer situations than regular comprehensive. Specified perils is also subject to deductible amounts. Comprehensive Cover Limited Glass (SEF13D), which reduces premiums in return for restrictions in coverage to a car’s windshield and other glass. Lose of Use (SEF20), covering costs of rentals, cab or public transportation while an insured vehicle undergoes repair or replacement. Accident Rating Waiver (SEF39) is more commonly called ‘accident forgiveness’. For a driver’s first at fault accident, no rise in premiums results. Legal Liability for Non-Owned Vehicles (SEF27) extends the terms of a driver’s policy to cars not owned by that driver, such as rental cars. Family Protection (SEF44) protects the driver and family if involved an accident with an uninsured or underinsured motorist. In other provinces this is often part of the mandatory policy. Limited Waiver of Depreciation (SEF43R) limits the effects of depreciation against loss or damage. Typically added with new vehicles, it is subject to a term limit, usually 24 to 30 months. Fraud in Alberta falls under the federal criminal code. It’s defined as acting dishonestly with the goal of depriving another person. When it comes to car insurance, there are many ways to commit fraud. If the value of the fraudulent offence is under $5,000, the Crown prosecutor decides whether to proceed with the charge as an indictable or summary offence. Indictable offences carry a maximum penalty of two years in jail. Summary fraud offences carry maximums of $2,000 in fines and jail terms of six months. Fraud over $5,000 is an idictable offence and subject to a maximum jail term of 14 years. padding legitimate insurance claims with injuries or damage that were not caused by the accident under claim. misrepresenting the circumstances of an accident. 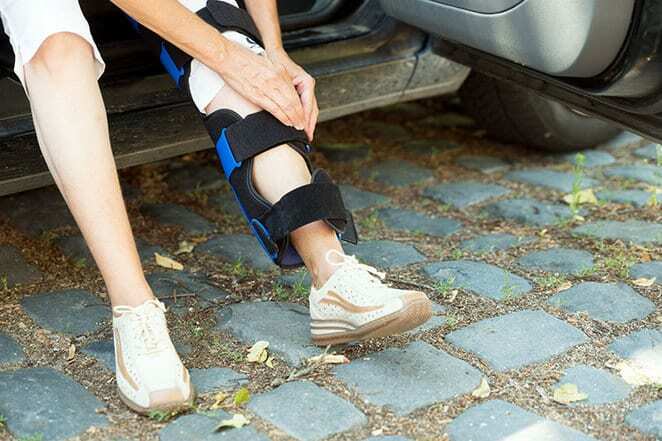 adding preexisting injury or damage to a legitimate claim. Since 1969, the .08 blood alcohol limit defined impaired driving in the province of Alberta. In 1999, the province added additional penalties for alcohol levels between .05 and .08, and in 2003 zero tolerance levels applied to new drivers holding graduated licences. Drivers between .05 and .08 are not charged with criminal offences. No level of blood alcohol is permitted for GDL holders. Any driver refusing to provide a breath sample receives a criminal charge in line with .08 level offences. Distracted driving violations are charged only to the driver of the vehicle, not the registered owner. Drivers can be charged for engaging in any of these activities, even if their ability to drive seems unaffected. A government awareness priority is that of pedestrian safety. Between 2010 and 2014, an average of over 40 pedestrians died annually, with nearly 1,200 injured. This is largely an urban issue, with over 95 percent of the incidents occurring in an urban area during that time. Almost half the incidents in 2014 resulted from drivers failing to yield the right of way. Over one-third of the pedestrian deaths in that period involved victims who had consumed alcohol prior to the incident. The Alberta government recognizes that responsibility shares between drivers and pedestrians, so the Safe Roads program promotes awareness, encouraging impaired pedestrians to seek assistance and arranging transportation while avoiding street traffic. Failing to yield right of way carries a $776 fine and four demerit points. Since implementing its first traffic safety plan in 2007, the province sees improvement in deaths, injuries and collisions on its roadways. Fatalities reduced over 30 percent and injuries nearly 18 percent since the first plan. The 2015 version of the plan includes the following priorities, identified as being appropriate for Albertans. Targets in Alberta typically use three-year averages compared with baseline periods. The 2013-2015 period compares with the 2008-2010 baseline, for example. For that time frame a 15 percent improvement target is set. The next traffic safety plan period is 2020 in Alberta. The province sites the Federal Highway Administration’s “Toward Zero Deaths” strategy from the United States as a model for further data-driven safety initiatives.